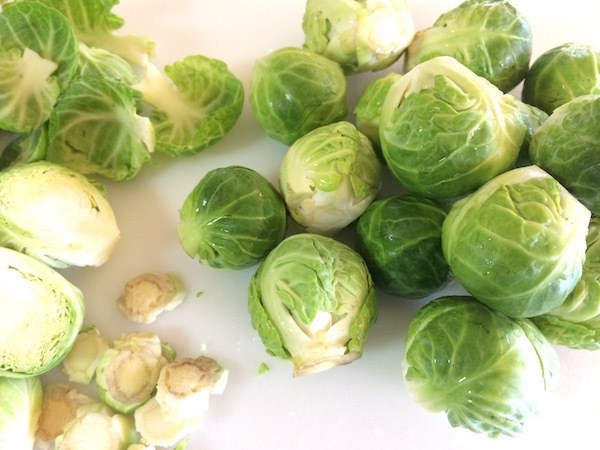 Brussels sprouts are in peak season in the fall. Although this vegetable isn’t for everyone, it does have many big fans. If you love them, now is the time to indulge. Avoid ones with yellowed leaves or black spots. 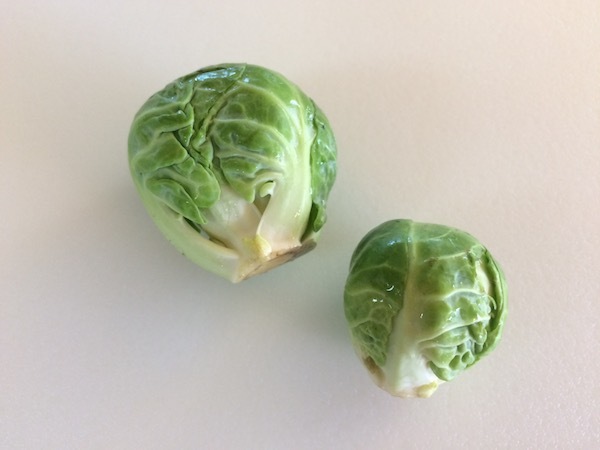 Choose the smaller sprouts for a sweeter taste. The larger ones will taste more like cabbage. Brussels sprouts can be purchased still on the stalk, although this is certainly not necessary. If they are purchased on the stalk, leave them attached until ready to use. They will continue to draw moisture from the stalk and thus stay fresher for a longer amount of time if they are stored still attached to the stalk. 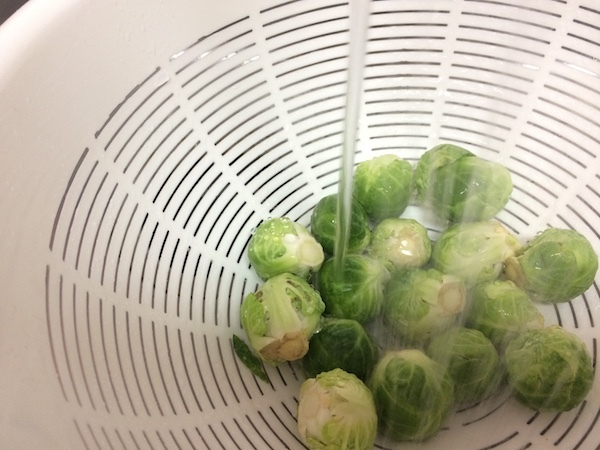 Rinse the brussels sprouts under cold water. Do not rinse them until ready to use them. Remove any leaves that are brown or otherwise damaged. Using a sharp knife, trim the dirty stem with a very thin slice and then discard. Note: Do not remove the core as you might on a cabbage, this one is totally edible. 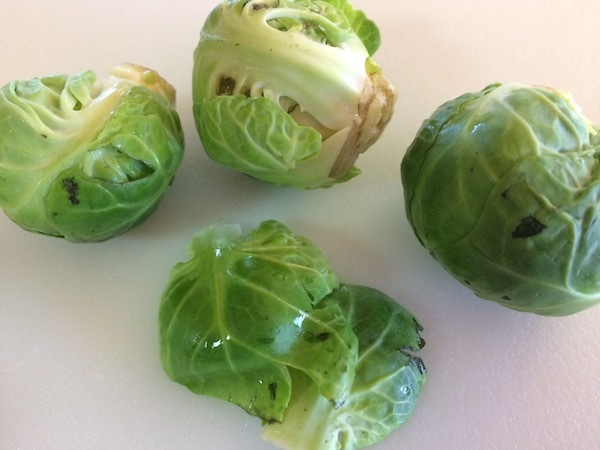 If the intent is to roast or sauté this vegetable then halve or quarter the sprouts, cutting through the stem. This will ensure a more even cook on the little guys. 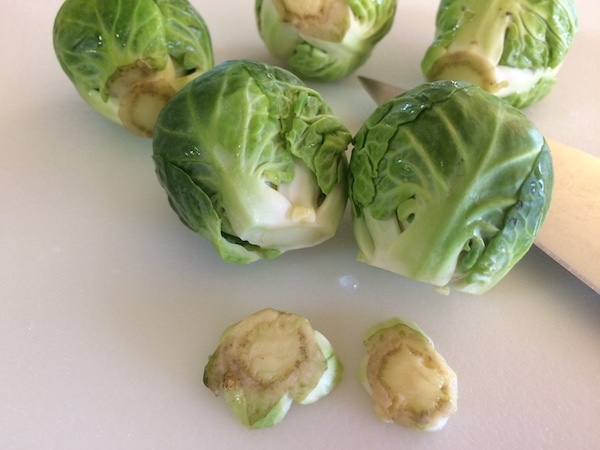 If the intent is to eat the brussels sprouts raw then be sure to slice them super thin or shred them. Otherwise, they will be extremely hard to bite. 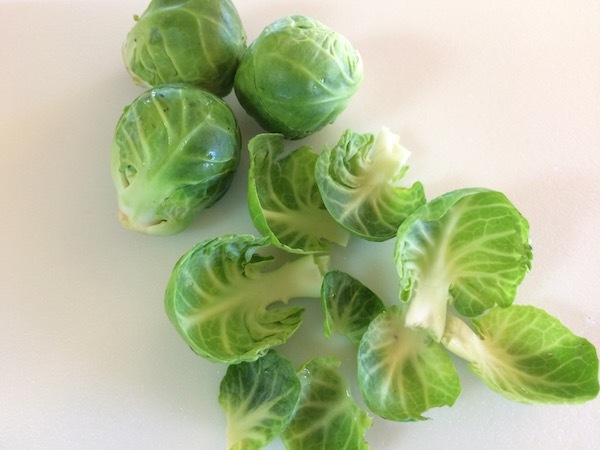 For another tasty, although somewhat tedious, option try peeling the leaves off and then frying or roasting them for crunchy brussels chips. 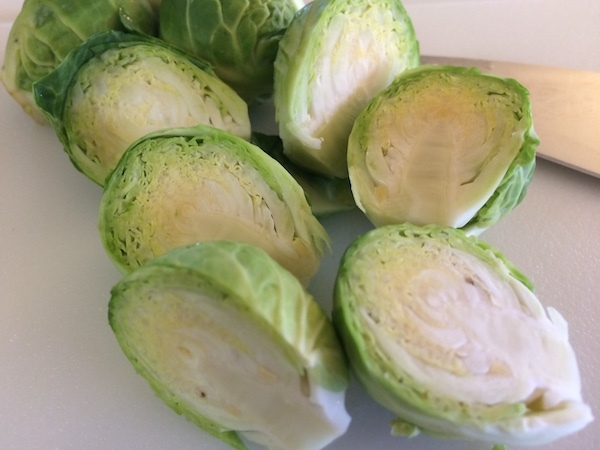 For more information on the storage of brussels sprouts and to find out how long brussels sprouts last, see our brussels sprouts page. To find out how to wash mushrooms, see our mushroom prep post.